Google has announced using site speed as a ranking factor back in 2010. Now, finally a patent has been granted to Google that Google uses resource load time in ranking search results. Step 1: Search query is received from a particular search device. Step 2: Calculates "first score" based on the relevancy of the resource based on the search query. Step 3: Calculates load time data for each of the resource based on the loading time the resource takes to load on the users device. Step 4: Generates a "second score" based on the measured load time of the resource and adjusts the ranking of the resources accordingly. 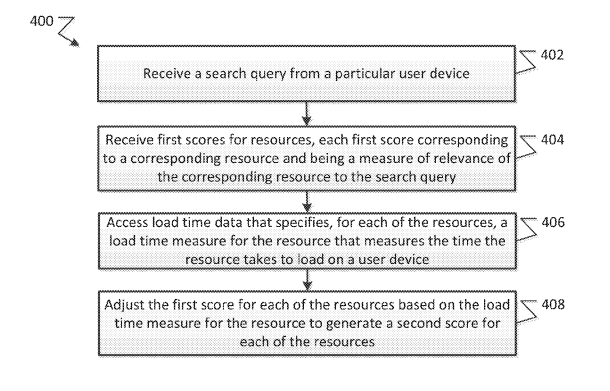 Hence, this patent suggests that Google firstly measures the time a resource takes to load on the users device and adjusts the final ranking of the resource. Thereby indicating that the rankings are device dependant.